A boatload of zucchini recipes to help you use up summer's bounty in fresh, fun and exciting ways. 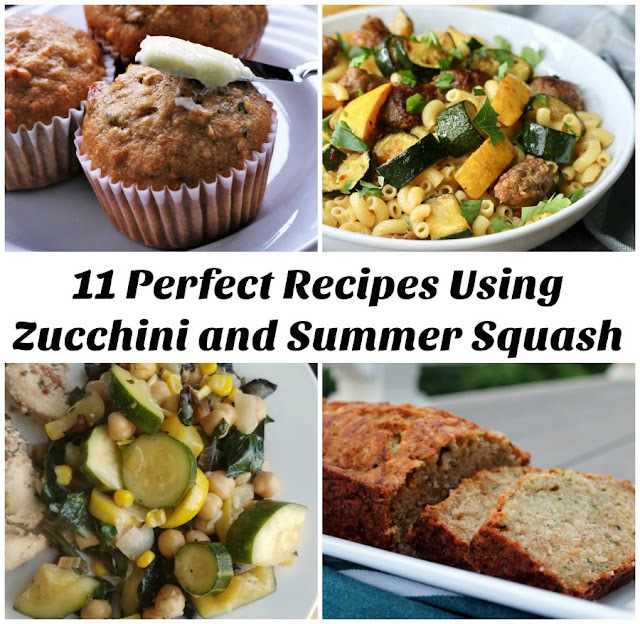 11 delicious zucchini recipes to keep things interesting! If you have an ever growing mountain of zucchini accumulating, never fear! 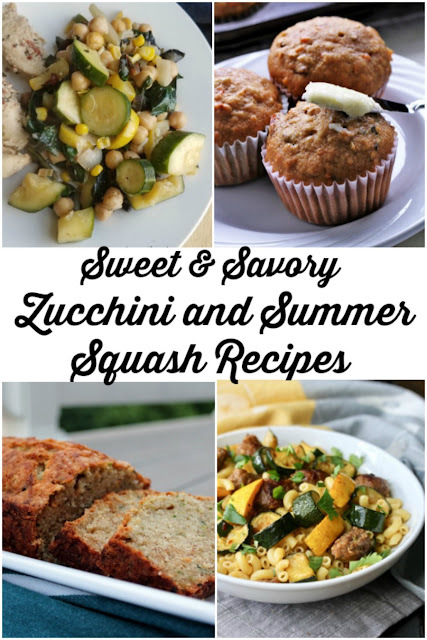 So many great zucchini recipes are here! I took the best of the best zucchini recipes shared at our farmer's market inspiration party. I cannot wait to make them all. Luckily I still have zucchini as well! Zucchini can grace my dinner table any day if it's mixed with pasta and sausage. 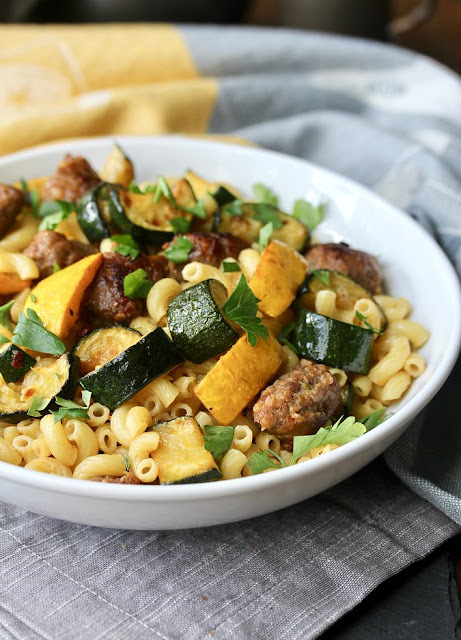 This pasta with zucchini, summer squash and sausage from Karen's Kitchen Stories looks like a perfect meal to me! 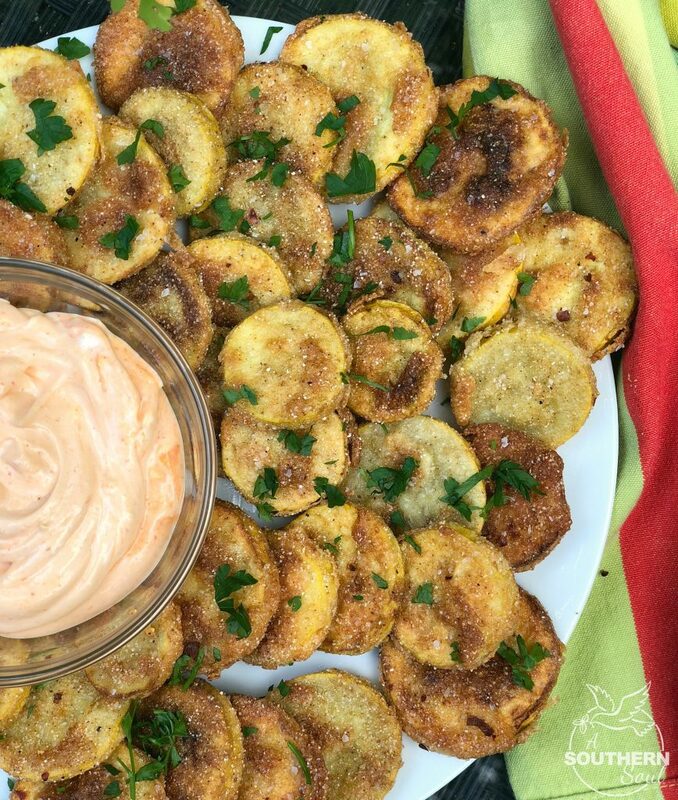 I don't know about you, but I think I could munch on these fried squash from A Southern Soul all day long. What do you say we give it a try? 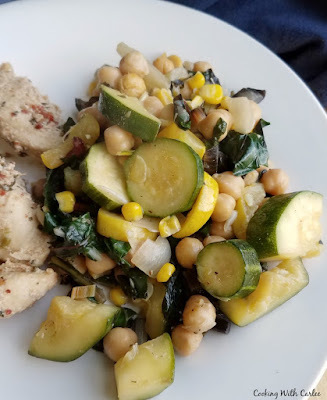 Mix that zucchini with another favorite summer vegetable, corn, for these delicious bites. Zucchini and corn fritters from Caroline's Cooking look like they have the perfect balance of textures and flavors. 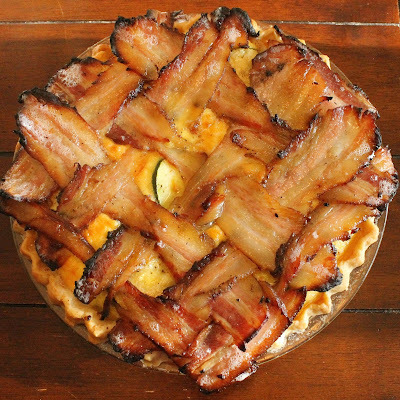 Turn that zucchini into a quiche and put a bacon lattice on top. That is sure to get their attention! This farmer's market quiche from Corn, Beans, Pigs and Kids looks perfect for serving any time of day! Shrimp and tacos happen to be two of my favorite words at meal time! 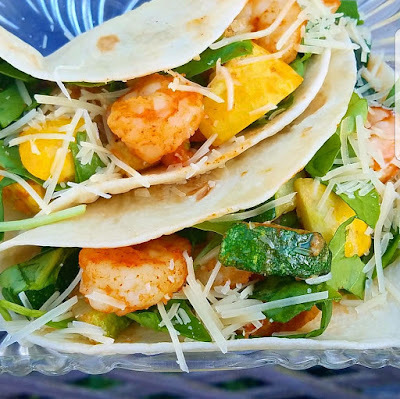 These shrimp and summer squash tacos from Tip Garden look like a fun way to change up the taco routine! Of course zucchini and squash make an excellent side dish too. This summer vegetable medley is simple, delicious and will help you work your way through the harvest! Starting the day off with a muffin is perfect for a leisurely morning or a grab and go dash out the door. 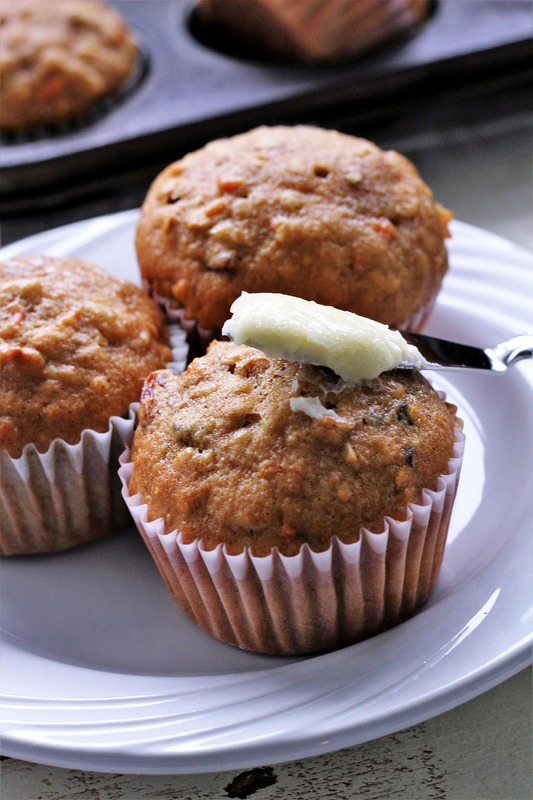 Either way, these zucchini carrot oatmeal muffins from My Recipe Treasures are a healthier option that still look delicious! 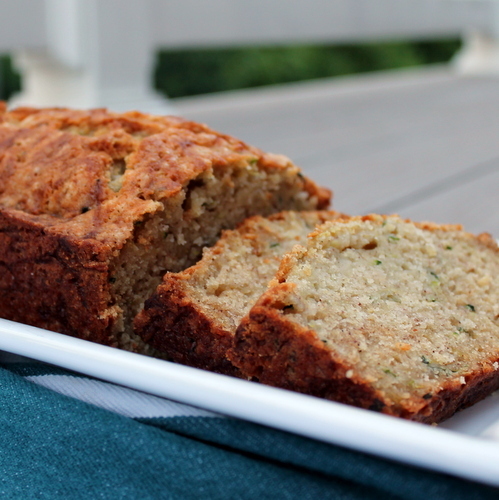 There is nothing like a good loaf of zucchini bread and family hand-me down recipes are always best. Books 'n Cooks shared her mom's zucchini bread recipe and it looks like a winner! This pie is made from zucchini, but tastes so much like apple you won't believe it! I got the recipe by chance and now it's a summer staple. 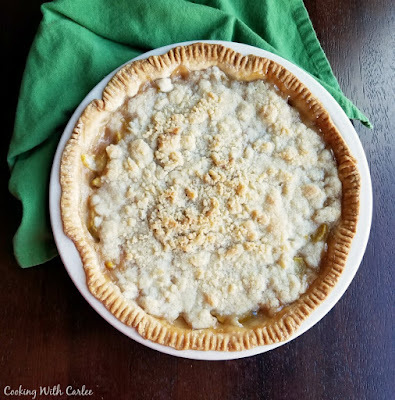 Almost apple pie should be on your must make list. Have you ever pickled a zucchini? I haven't but now I can't wait to try. These sugar-free bread and butter zucchini pickles from Palatable Pastimes look perfect for munching on! If bread and butter pickles aren't your style, maybe these refrigerator pickles from Simple and Savory are! They look just like a classic dill pickle, but with zucchini instead of cucumbers! As always: If you make any CWC recipes–let me know what you think by leaving a comment below. And post a pic on Instagram or Pinterest too—tag @carleecooks so I can see! For more recipes and fun, like us on Facebook and follow along on Pinterest! Everything looks good Carlee! That zucchini bread and those muffins are pulling my heartstrings! Bacon lattice crust, lol! What will they think of next!! Thanks for sharing our muffins!